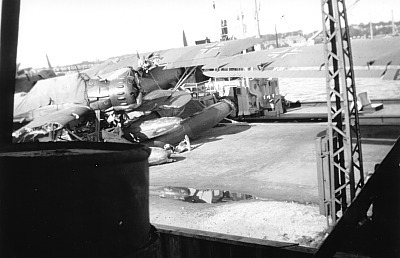 Ar 196A-2 serial number 0086 collided during take off 22/9 1940. The aircraft belonged to 3. Erg. Gr. (See) and was coded 6I+CL. T/o Aalborg See Op: Feindflug. 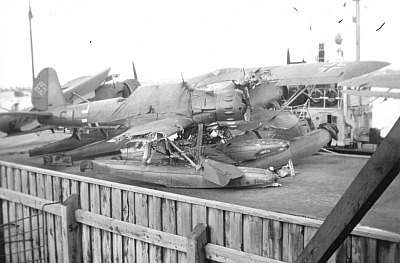 During take off from Fliegerhorst Aalborg See the AR 196 hit two He 114`s sea planes and was damaged 80%. Apparently the crew were unhurt.